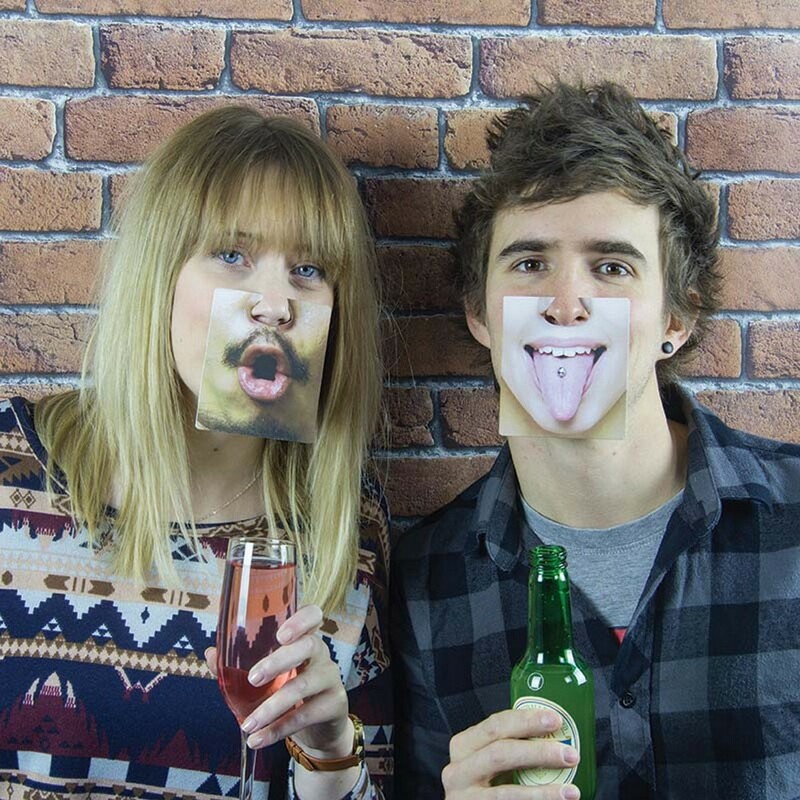 A great way to have fun and break the ice at parties, this set of double sided Face Mats are a cheeky, laugh-out-loud addition to your drinking fun. Protecting your tables and surfaces from drink stains, these drinks mats are an awful lot more fun than your average coaster! With 20 mats in the set, each one features two fun pictures with which to strike the perfect pose. 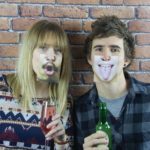 With a variety of different faces and expressions, they can be clipped onto your nose to create some hilarious appearance altering mayhem, perfect for party photos and selfies. 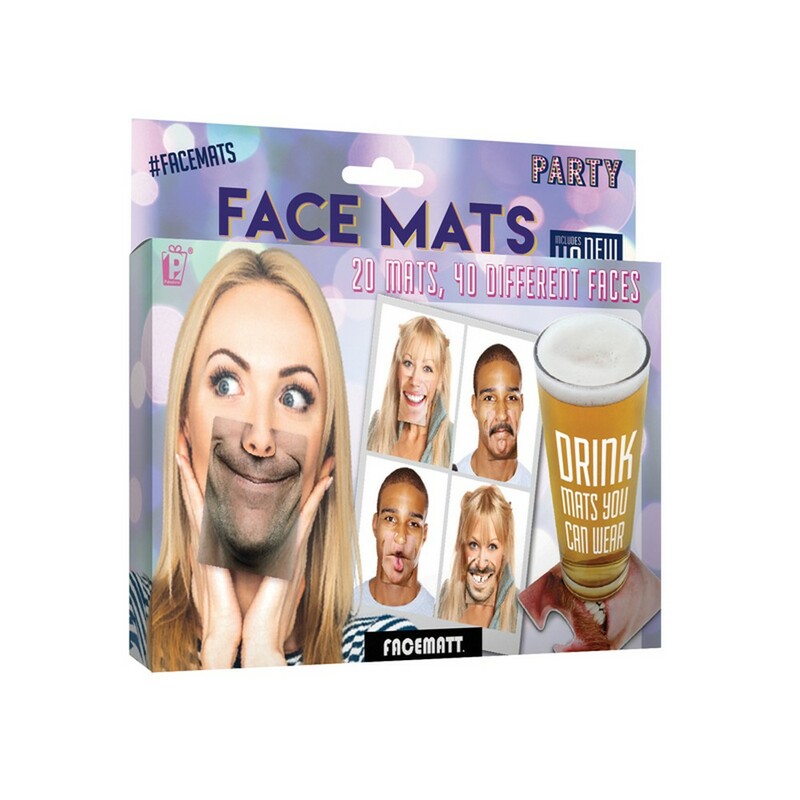 So whether you fancy a goatee, a moustache or bright red lipstick, or perhaps prefer a scowl, a frown or a kiss, these brilliant Face Mats offer something for everyone, and are a great quirky gift for Secret Santa, stocking fillers, or just a cheeky gift for someone you know. Face Mats are part of the Gentlemen’s Club range from Paladone. Gentlemen’s Club aims to provide excellent fun gifts, games and lifestyle products for the modern sophisticate, with style, wit, and plenty of humour. Put those little grey cells to the test with What's the Word - a fun connecting game where players have to figure out the word that links four seemingly random pictures!